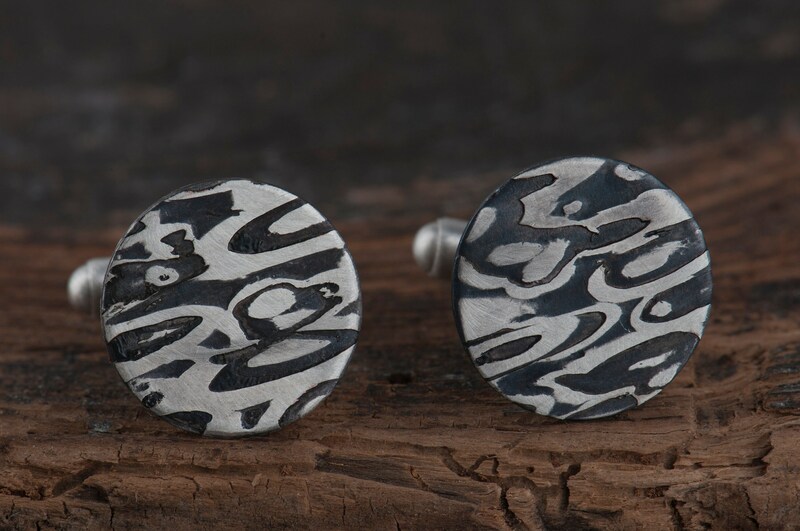 Mokume gane is an old Japanese technique of connecting at least two different metals. In the result they are not melted but stay as separate layers. Each time the pattern of mokume gane is unique and unrepeatable. 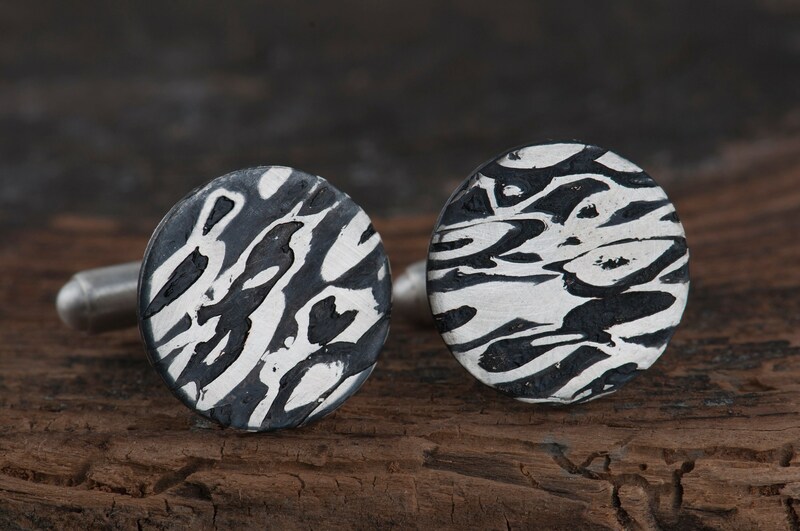 Making jewelry from this material is always a fantastic adventure, requires precision, time, care and focus at every step of production. 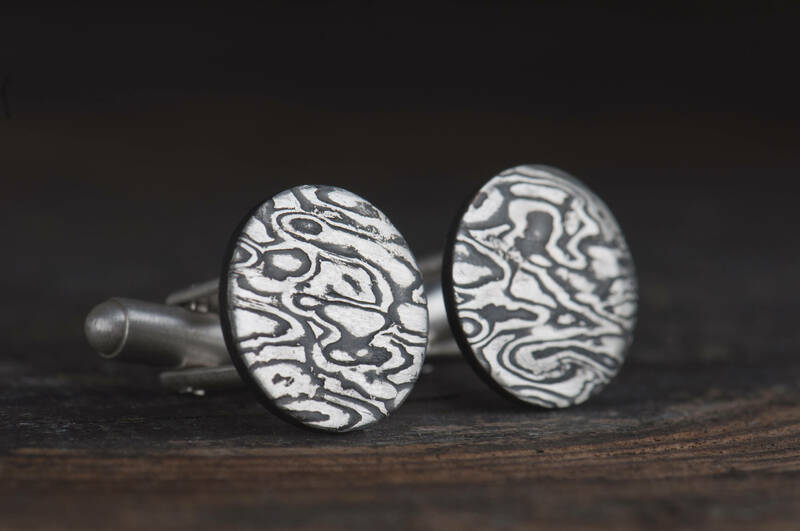 If you are looking for unique cufflinks for a wedding or any other special occasion for you or somebody close to you, mokume gane jewelry will be a good choice. 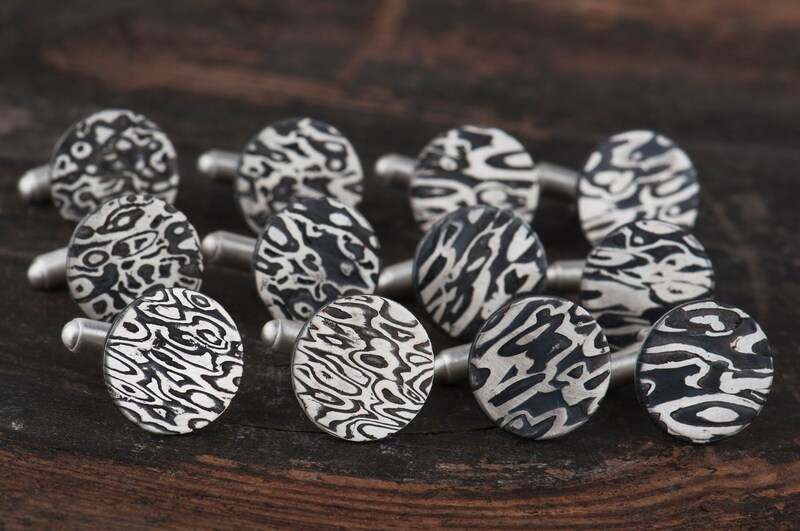 I can guarantee that there is no possible way to make two sets of cufflinks which will look the same. 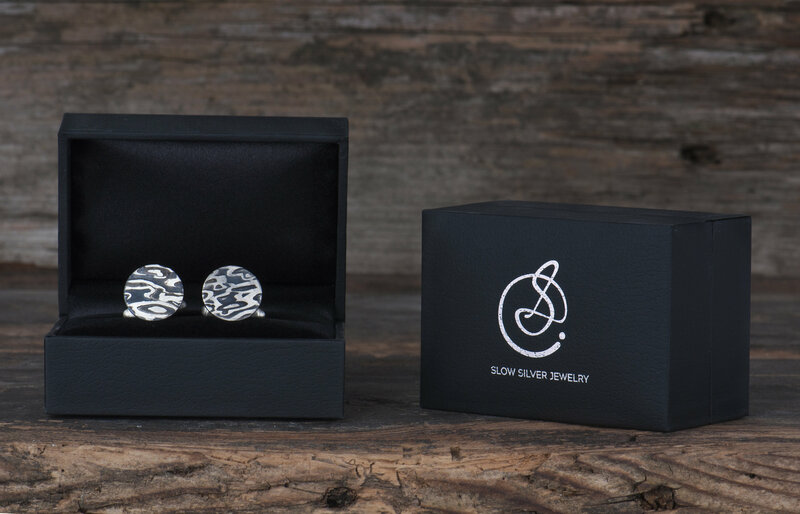 Moreover you receive a sophisticated and eye-catching piece of jewelry for men which last for years. 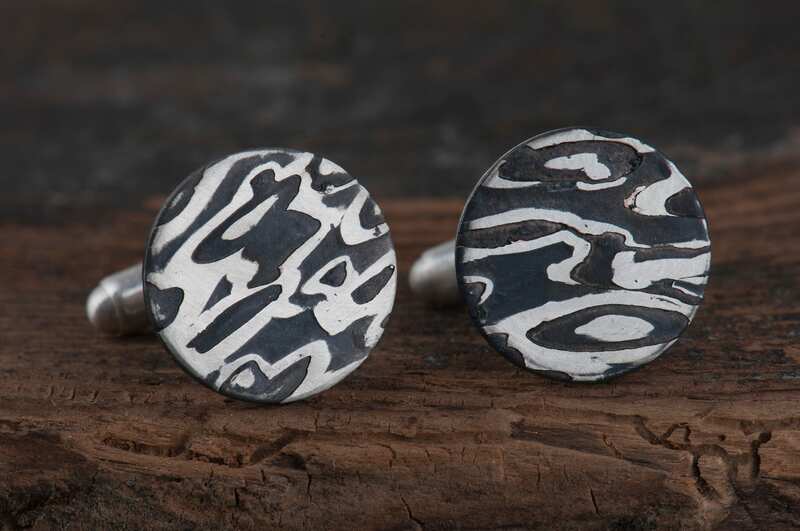 On the photos you can see examples of mokume gane cufflinks I made - they are already sold so I don't have any of them in my workshop at this moment. 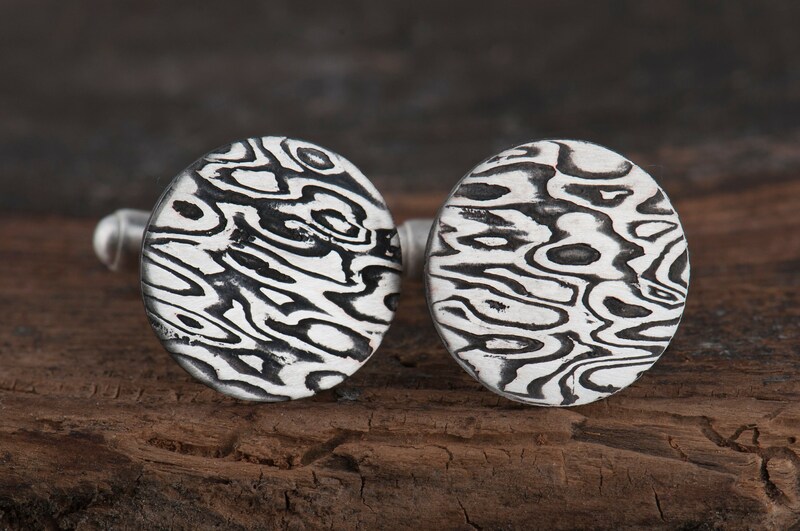 But they are perfect proof how varied patterns mokume gane may have. 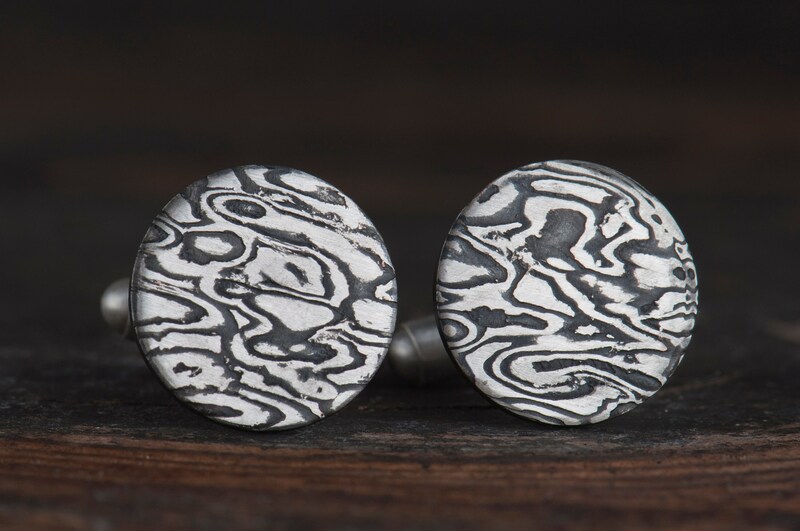 These mokume gane cufflinks are hand made so I need up to 7 days for finish and ship your order. 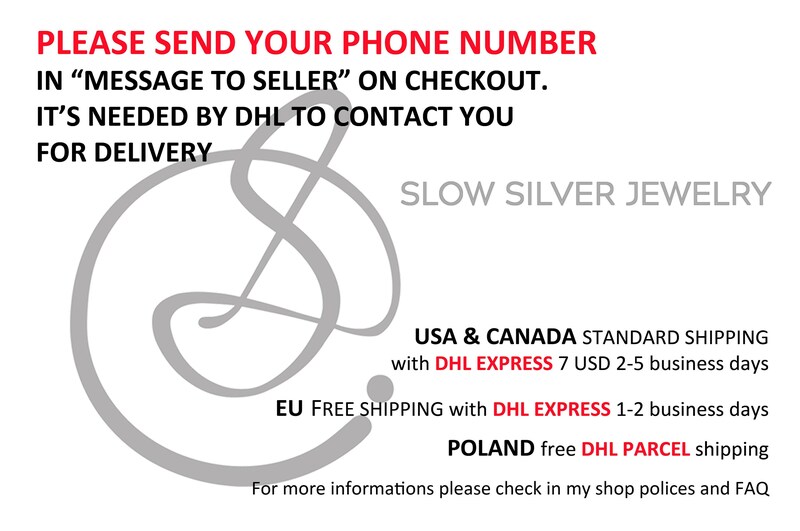 It will arrive in a black jewelry box/gift box. 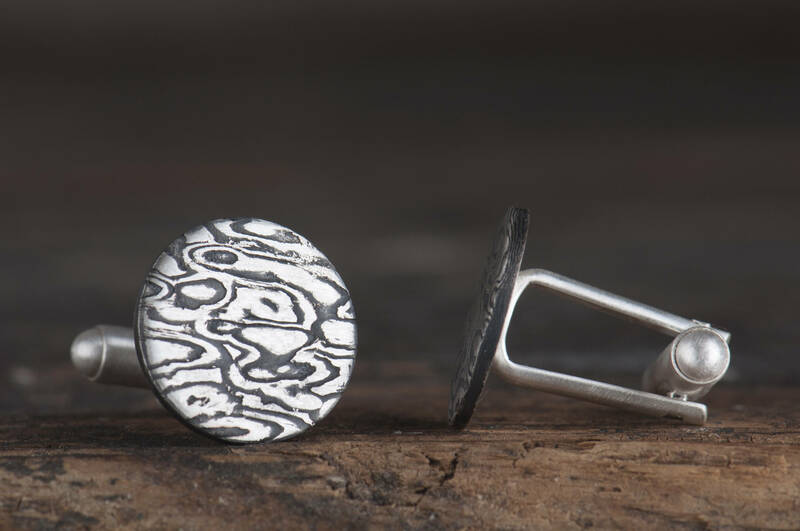 If you wish I can ship the cufflinks to a third party and add a gift card with a personal message from you. If you have any questions please don't hesitate and send me a message.